Ordered pairs and coordinate plane is an important foundation for so many higher level math studies. It lays groundwork for many topics in geometry and algebra, such as Pythagorean theorem, distance between two points, slopes of linear functions. It also helps kids understand the coding game we designed. It is a math area that seems easy, but takes practice to be good at. 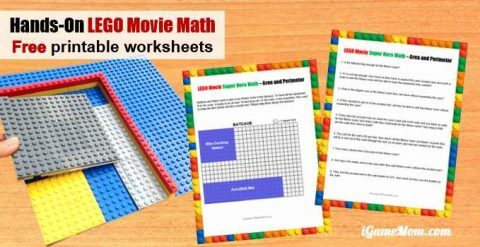 This LEGO movie coordinate plane game gives kids a hands-on opportunity to practice the ordered pairs on a LEGO coordinate plane that they can see, touch and count. Master Wu asks Lloyd to find all the Ninja Warriors and bring them to him. All Ninja warriors are at different locations, but Master Wu has location codes (ordered pairs) for each. Can you help Lloyd to find all the ninja warriors? There are two ways to play the game. You can ask kids to build the grid on a LEGO plate. We used the 10x10inch square plate, which is 32×32 dots. We happen to have some old LEGO Ninjago minifigures. You can get minifigures for the LEGO Ninjago movie here. You can also use the free printable worksheet I designed for this game. Before you place the LEGO Ninjas on the coordinate plane, you need decide which foot of each ninja is used to determine the location. We decided the right foot of each minifigure is the one to use. For kids who just start learning about coordinate plane (Grade 2 – 3 in the US), you can start with one quadrant, so both x and y are positive numbers. After kids are introduced with negative numbers, you can use a coordinate plane with all 4 quadrants. 1. Identify the location code (coordinates) of the ninjas. 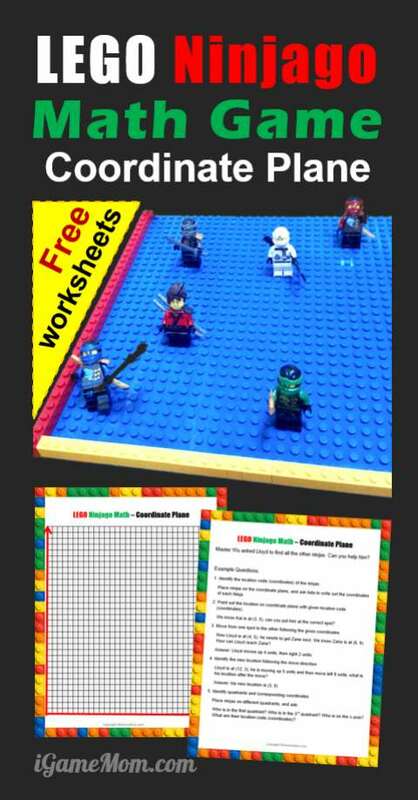 Place ninjas on the LEGO plate or the template you printed, and ask kids to write out each ninja’s location code. To start, you can ask them to write the x-coordinate or y-coordinate only. Once kids get the hang of it, you can ask them to identify both x and y coordinates as ordered pair. Make sure to write in the correct format: x-coordinate first, followed by comma, then y-coordinate. Include both numbers in a parenthesis. 2. Point out the location on coordinate plane with given location code (coordinates). 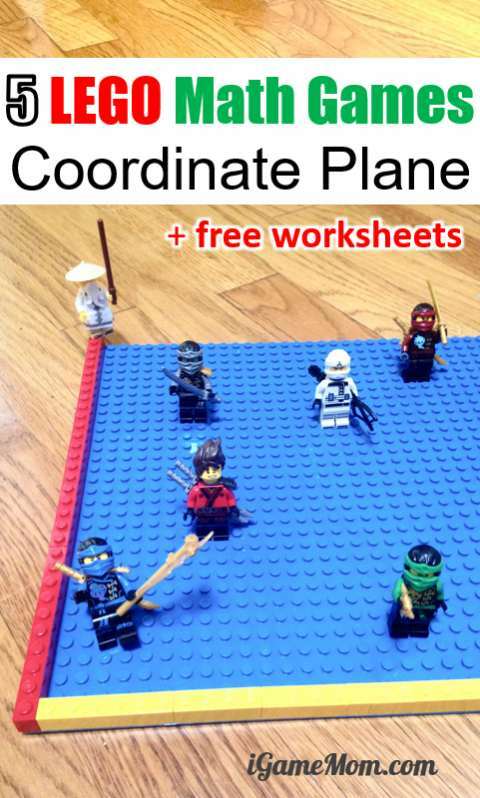 Give kids several ordered pair numbers, and ask them to put the corresponding ninjas on the coordinate plane. Example: We know Kai is at (3, 5), can you put him at the correct spot? Give kids two location codes for two points, and ask them how to move from point A to point B. Example: Now Lloyd is at (4, 5), he needs to get Zane next. We know Zane is at (6, 9). How can Lloyd reach Zane? Answer: Lloyd moves up 4 units, then right 2 units. Give kids the starting point location, then tell them how to move, ask them the ending location after the move. Example: Lloyd is at (12, 3), he is moving up 5 units and then move left 9 units, what is his location after the move? For kids who has started negative numbers, you can set up the coordinate plane with 4 quadrants. Put several ninjas in different quadrants and ask kids to tell you which quadrants they are at and their x-y coordinates. Example question: Who is in the first quadrant? Who is in the 3rd quadrant? Who is on the x-axis? What are their location code (coordinates)? As you can see from the examples, you can set up endless scenarios for kids to practice ordered pair and coordinate plane at their levels. Below is a set of worksheets for you to use with the kids. You will find a coordinate plane of one quadrant and 4-quadrant each, both are designed in the size corresponding to the 10x10inch LEGO plate. There are also sample questions for you to use with kids. The sample questions are there to give you ideas how to use the set, and you can move the ninjas around to do more practice with kids. To download the sheet, simply fill out the form below. 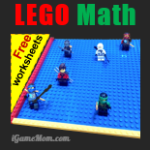 For more LEGO Math Activities, please visit LEGO Math Game for Areas and Perimeters.